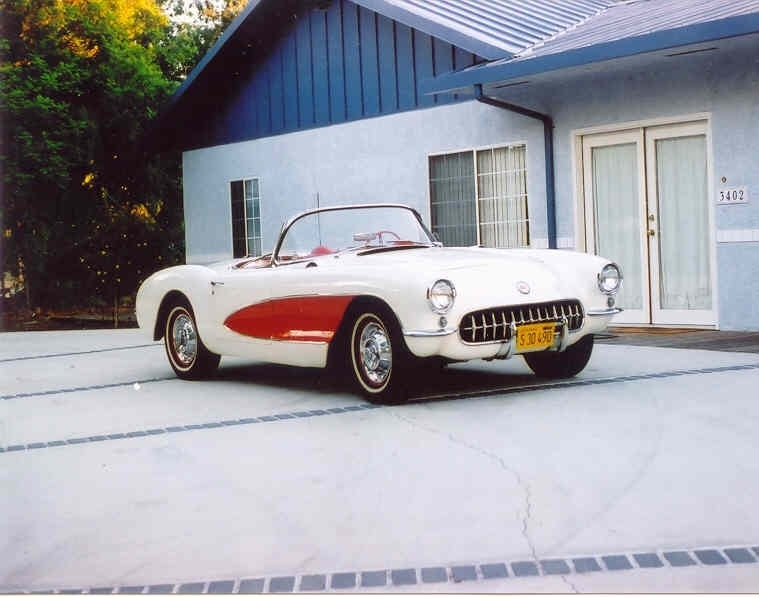 You are here: Home / Featured Corvettes / Had To Have This ’56! Had To Have This ’56! I have always had a passion for speed and cars. Growing up in the Chicago area, I attended races at US 30 Drag Strip and Road America and dreamt of someday driving a fast car. 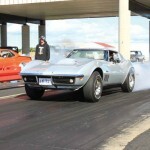 Corvettes were always my favorite car. 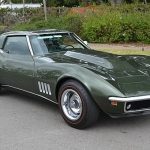 Many years later, when I was finally able to afford a car from my youthful dreams, I began a search for a suitable Corvette. 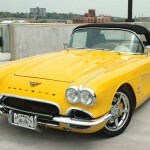 Eventually, I narrowed my choice down to two early Corvettes I found; a ’56 and a ’63. 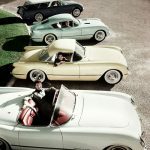 I favored the ’56 because the chassis was near original and I simply liked the body style better than the ’63. I ended up buying the ’56, which had the original stock frame, stock steering and the original stock radiator still in use on the vehicle today. 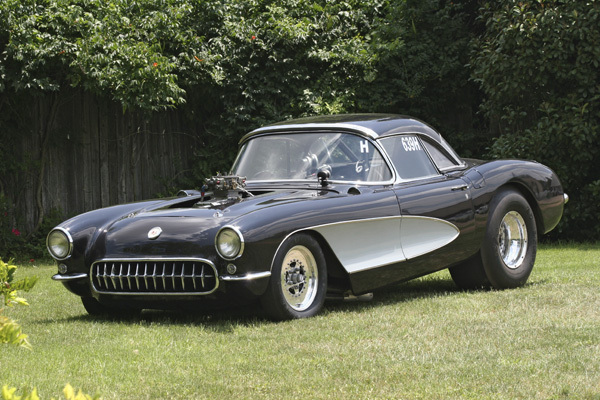 Having the original stock chassis was important at the time in the event I might decide to convert the Vette back to a street car in the future. 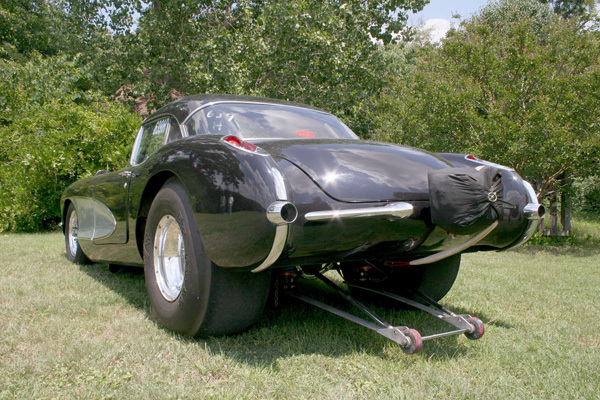 This ’56 Vette had spent 34 years traveling 1/4 of a mile at a time. Its past included being the AHRA Modified Street World Champion in 1976, with Jim Ruble behind the wheel. I bought the car in early 2005 from a gentleman in Springfield, Missouri, after quite a long search for just the right car in the right condition. After several months of haggling, the owner drove to the Corvettes of Dallas show in Carrollton, Texas where we completed the transaction. 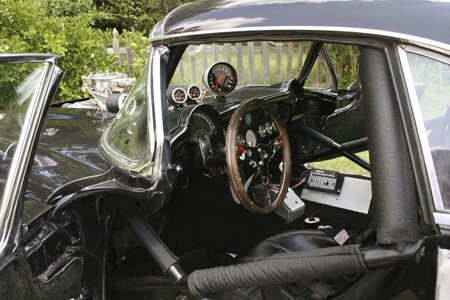 The former owner turned right around and bought a ’61 Vette at the same show and took that car home with him. 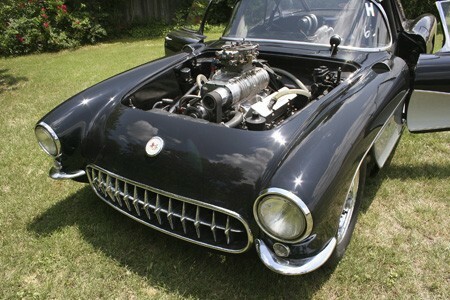 The engine is a 355ci Chevy small block with Dart steel heads. The most noticeable feature of the car is the B&M blower with a single 1050 Bill Mitchell carburetor sticking out of the hood. 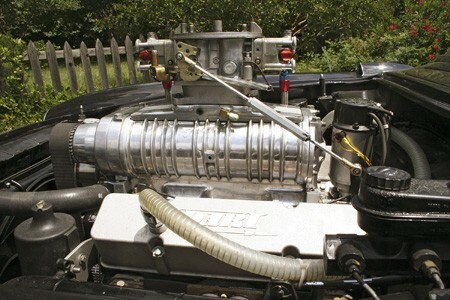 A Vertex magneto fires the motor and the power goes through the 2-speed Powerglide to the Dana 60 with 4.88 gears. Directional control is maintained by adjustable 4-link suspension with Koni adjustable coil-over shocks. Stopping power comes from Strange 4-wheel disc brakes with dual master cylinders. If needed, a parachute can be deployed to ensure a safe stop. 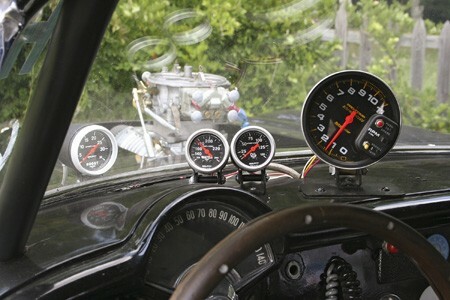 The car runs consistent 10.70’s at 130 mph and drives very straight with all stock front suspension parts. I have considered making my ’56 a Pro Street style driver because I just might enjoy the car more in that trim. Time will tell. I have other toys that include a ’50 Plymouth Business Coupe with the original flathead 6-cylinder engine, a ’67 Vette in need of restoration, a ’69 Vette that I purchased in 1975 and a ’79 Vette I purchased new that today has 197 miles on it! Since joining the Dallas Area Classic Chevys Club I have really enjoyed my ‘Tri Five’ Vette with other ‘Tri Five’ Chevy enthusiasts in the North Texas area. 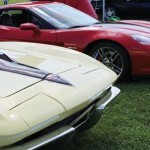 Now that I have the Vette of my dreams…life is good! Should have left it stock. Not many left.